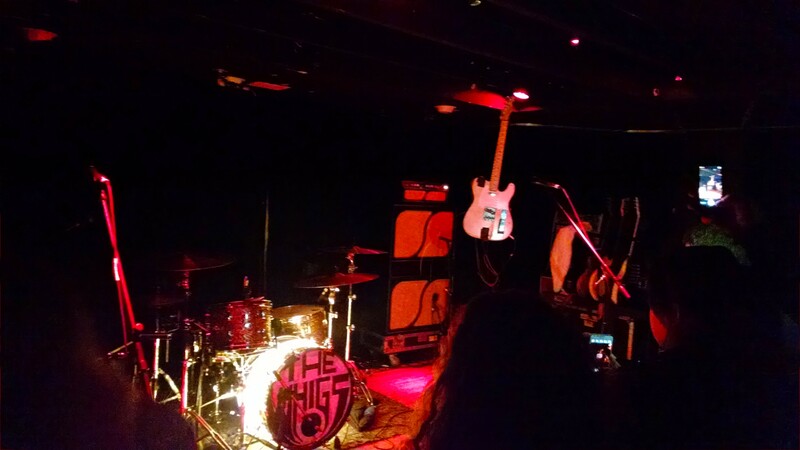 A good friend of mine (with great music taste) who recently started casually following this blog, sent me a text last week encouraging me to check out The Whigs at Zanzabar. He said they were one of his favorite bands and a show we shouldn’t miss. It was already on our list, but that suggestion was a positive sign of the night to come. It was another night, another band, and another full crowd at Zanzabar. Zanzabar is quickly becoming one of my favorite venue spots in Louisville because of the true rock and roll, hole-in-the-wall vibe as well as the multitude and caliber of acts that are playing there. We noticed pretty quickly that we were definitely a minority and had a positive ratio if looking for Mr. Right. Within the first few minutes, it made sense why so many males were in attendance- The Whigs REALLY rock. The intensity of their performance was contagious, as everyone’s dancing became more vigorous as the night went on. Drummer Julian Dorio really is fantastic and incredibly worthy of all recognition he has received for his craft- I’d never seen anything like it and was truly awestruck in his ferocity. Frontman Parker Gispert matched the drummer’s fervor, so much so that he totally destroyed his guitar and hung the broken instrument from the rafters by the busted strings. Unreal.